Overnight, QUT bluebox signed an exclusive deal to licence the development of the DKLS02 anti-cancer drug candidate to Brisbane-based CARP Pharmaceuticals Pty Ltd.
QUT has also announced a strategic partnership with Elo Life Systems to target innovation efforts towards the development of more resilient and nutritious crops. 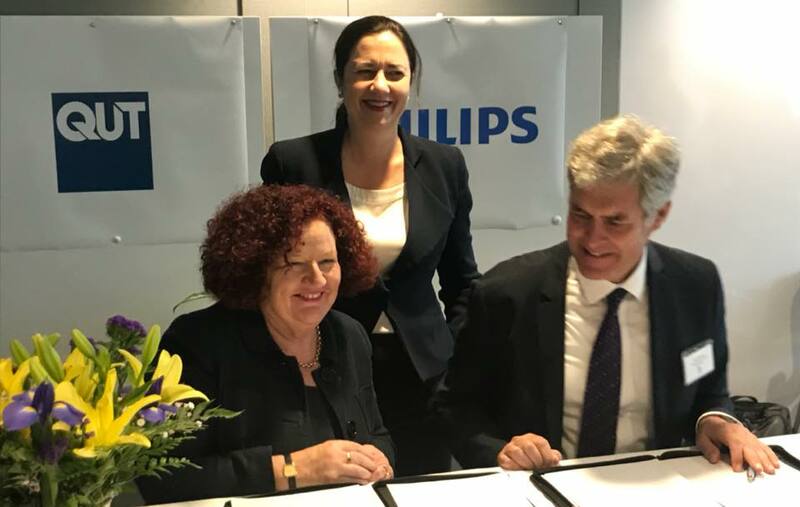 In addition, QUT has signed a Memorandum of Understanding with Philips Research, which will see the two organisations work more closely together on a range of health projects. 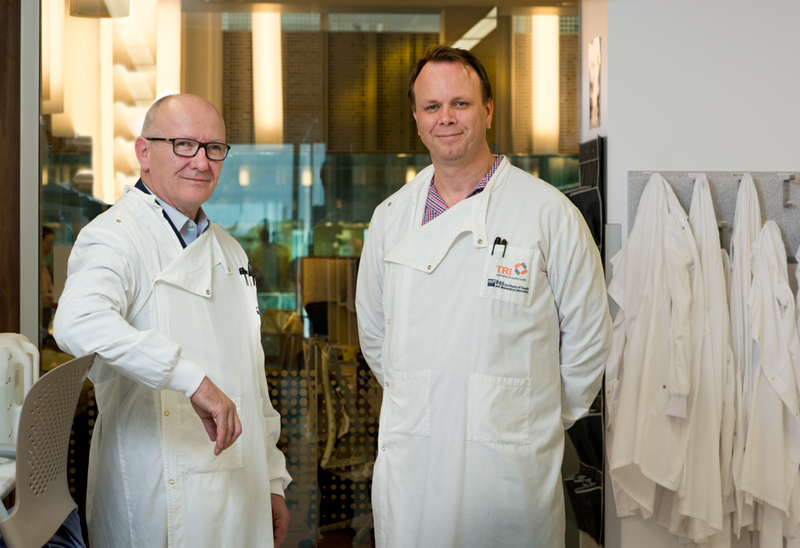 QUT Associate Professor and co-inventor of DKLS02, Derek Richard said the drug candidate had the potential to be used to treat a range of different cancers, including solid tumour cancers such as lung cancer, advanced prostate cancer and melanoma. 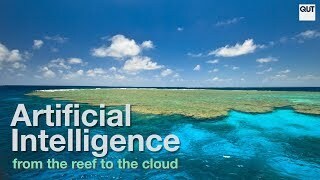 The 2018 BIO Convention also saw QUT announce a strategic partnership with North Carolina based food and agriculture technology company, Elo Life Systems. QUT Professor Sagadevan Mundree, Director of the Centre for Tropical Crops and Biocommodities, said the University would work with the company to use its genome-editing and accelerated germplasm screening technologies to develop and commercialise protein-rich and nutritionally enhanced tropical and sub-tropical horticultural and grain crops in Queensland. “In a wonderful coup for the State, Elo Life Systems, through a newly-created Australian subsidiary, will establish an R&D footprint in Brisbane and be co-located at QUT,” Professor Mundree said. “Our collaboration will provide Australia with access to proprietary agricultural innovation technologies and allow us to fast-track the delivery of improved crop traits, which will be of enormous benefit to Queensland farmers and the sector more broadly. “One of the first initiatives we will be focusing on will be the development of drought-tolerant and disease resistant chickpea. We will also be seeking to develop chickpea varieties that have a higher protein content and greater bioavailability of iron and zinc, the deficiency of which is a significant global problem,” he said. Chief Executive Officer of Elo Life Systems, Dr Fayaz Khazi, said the company was impressed with QUT’s technology-centric ecosystem and Professor Mundrees’s work in plant-based proteins. “We hope the partnership between Elo and QUT serves as a springboard for collaborative creativity between our teams, to identify and resolve existing technological barriers to rapid innovation and address critical unmet needs to bridge the gap between agriculture and human health,” Dr Khazi said. The signing of a separate Memorandum of Understanding (MOU) with Philips Research, and a visit to the company’s Cambridge facility, by the Premier and QUT’s Vice-Chancellor and President, Professor Margaret Sheil AO, capped off the successful Boston trade mission. 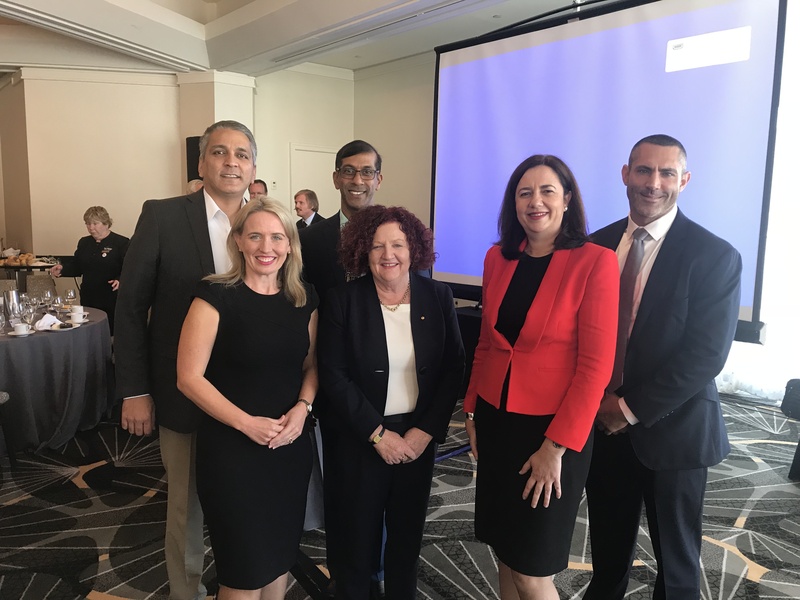 Professor Arun Sharma said the agreement would provide for a closer working relationship between Philips Research and QUT on research innovation within the health system as well as in the area of personal health.